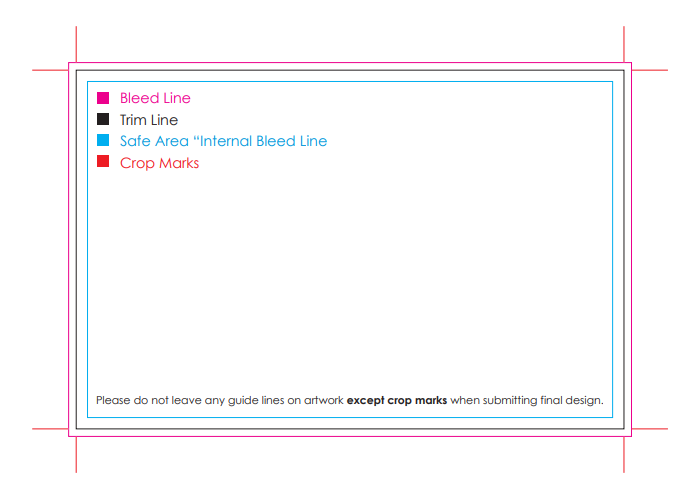 Bleed Line – Artwork background needs to extend to the ‘bleed line’ to avoid any cutting errors. See Artwork Setup Requirements for bleed size required for your sign. Trim Line – This is the finished size of your sign/artwork. Safe Area – Please keep any text within a few millimetres of the trim line, to avoid being cut off. This is called the Safe Area. Crop Marks – As the guide lines do not remain on your final artwork, crop marks show us where to cut your sign.